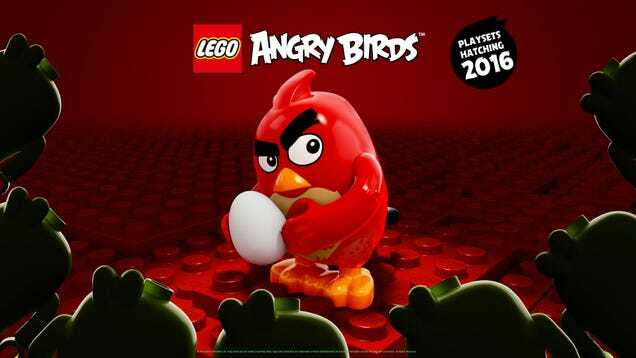 In early June Lego and Rovio announced LEGO Angry Birds, a series of playsets coming in 2016 to coincide with the big budget CGI movie. Now we’ve got our first look at Jason Sudeikis’s Red in Lego form. In case you missed it, Sony and Rovio amassed quite a cast for the Angry Birds movie, including Sudeikis as the red bird, Josh Gad as the yellow one, Danny McBride as black bird (singing in the dead of night), David Hader pulling pig duty and Peter Dinklage as the Mighty Eagle. The Red poster, seen in its entirety below, is the first time we’ve seen any bird in Lego form. It’ll be on display at the LEGO booth at the San Diego Comic-Con next week, where somebody better get me the limited edition Action Comics #1 set or I will die.